Cruise Hive has now received more details from Oceania Cruises regarding the tragic deaths of one crew member and two contractors after a fire broke out onboard the Insignia cruise ship yesterday morning (Dec 11th). There is still one crew member in hospital and thankfully is in a stable condition. No other injuries have been reported and all 656 guests that were cruising on the luxury vessel will sent home as quickly as possible using charter flights to Miami, Florida. Guests will get a full 100 percent refund along with a 50 percent credit towards a future cruise with the Oceania Cruises. We are deeply saddened by the tragic events that occurred this morning on Insignia. We have extended our heartfelt condolences to the families of those involved and are offering them our full support. This is truly an emotional time for all of us at Oceania Cruises. A crew member remains in the hospital and is reported to be stable. We are grateful there are no other crew injuries. Our top priority is ensuring all 656 guests return home as quickly and comfortably as possible. We’ve arranged for charter flights this evening to return all guests to Miami, as well as transfers and hotel accommodations in Miami until flights to their city of origin can be arranged tomorrow. All guests will receive a 100 percent refund, and a 50 percent credit towards a future Oceania Cruises voyage. Oceania Cruises President and Chief Operating Officer Jason Montague, along with a team of guest and crew support and technical personnel, are in St. Lucia. This team is leading the effort to ensure guests and crew are well cared for, as well as working with the ship’s team and authorities to assess the situation. We will make additional details available as they become known. At approximately 8:30 am today while in St. Lucia, Insignia experienced a fire in the engine room. The fire was contained to the engine room and extinguished. All guests are safe and have disembarked the vessel. Three crew members and two contractors who were working onboard were transferred to a local medical facility. We are deeply saddened to learn that two contractors and one crew member did not survive. We extend our deepest condolences to their families during this very difficult time. The remainder of the cruise has been cancelled. Arrangements are being made for guests and crew to be accommodated at local hotels until transportation to Miami is arranged. A Guest Support Team, along with a technical team, is en route to the vessel. 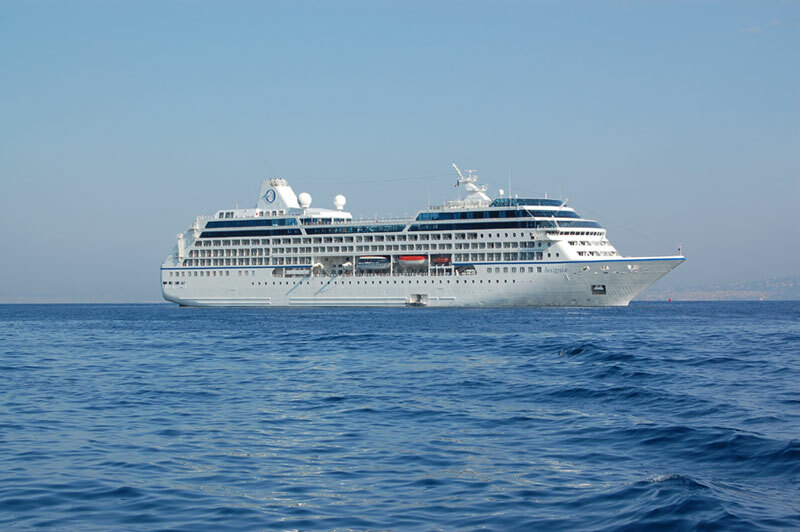 Oceania Cruises is working closely with the ship’s crew to continue to obtain reliable, up-to-the-minute information on this situation and will make additional details available as they become known. Insignia was on a 10-day cruise which departed San Juan, Puerto Rico on December 7, 2014 and was scheduled to arrive in Miami on December 17, 2014. It’s being reported that a fire had broken out on the Insignia which a Luxury cruise ship operated by Oceania Cruises. At the time the fire broke out onboard the vessel was docked at Port Castries in St Lucia on the morning of 11 December. According to a local news site St Lucia News Online the fire department were called at around 9:25 am and the fire had broke out in the ships engine room. The fire was put out by emergency services but no details have been released on the extent of the damage. The site also states that the “Fire Service has confirmed that one of the three persons is being treated for smoking inhalation and mild respiratory distress. The condition of the other two persons are unknown at this time.” The injured people were probably crew members who were working in the engine room at the time. We were in port in St Lucia. Happened about 9:30am. Lost power. We left the ship for a while, then went back on. shortly afterward they decided to get all the passengers off the ship – actually die the muster. from what I was told by our muster leader they did lose a crew member. there may be more injuries. Can’t tell you much more. People going back to the ship are being shuttled to a ferry terminal to wait. We decided to stay in town and have moved to another restaurant. We went to the Cathedral and said a prayer for the crew members who were injured. I have not gotten a second confirmation on the fatality, however passengers did see CPR being done on someone. When we had left the ship the first time shortly after the original Emergency call, I did hear a call for a the ” cardiac” team to report to deck 3. Ship lost power about 9:30….it did not have power when we returned at about 10:30. Muster was orderly, although many of the passengers were already of the ship on excursions. Most people I have talked to seem to be taking things in stride and awaiting further information. Our issues pale in comparison to what the crew is dealing with. The Insignia was on a 10-day cruise which departed from San Juan, Puerto Rico on December 8th. The vessel still has scheduled ports of call including the next which is Kingstown. The ship is 30,277 tons and can carry over 600 passengers along with 400 crew members. Insignia had recently been refurbished in Spring 2014. Cruise Hive has contacted Oceania Cruises for an official statement and any other additional details and we’ll update readers once we know more.